Tony Cozzolino and his wife, Stephanie, are not your typical millennials. While the majority of their peers live in the increasingly connected and tech-savvy Bay Area, the Cozzolinos have chosen another way of life: Farming. 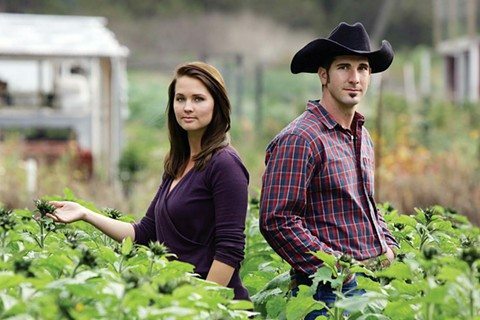 Almost entirely by himself, Tony, 28, plants 12 to 15 acres of pumpkins each season and about 400 Christmas trees on their Half Moon Bay farm, and Stephanie, 23, has recently gotten into the sprout and micro-greens business.